The temperature is balmy and extremely comfortable in Northern Illinois this week. It is February and my kids are wearing shorts. It is odd. It is a weird week because we don’t have our community classes with our homeschool co-op. The kids are restless with a change in our schedule and the spring-like weather. It makes it easy to lose sight of the goal at hand. This week I’m preparing for the homeschool science fair. It’s been a tradition for the last 9 years…and it’s my last one. I am hanging up my hat and I am passing on the proverbial binder, literally. It feels as weird as a 68 degree February day. And I am wondering in the remembering and wanting to hold on to the things I need to let go of, restless like my kids in the temptation to think spring is here and the break in our schedule. Even though I have a peace about letting go, I can honestly say I’ll miss this piece of my heart. That is why we tend to hold on to the things of this world, isn’t it? We are fearful we will miss something. But we can’t keep everything in our world. We can’t hold on to those things that we’ve loved fiercely for very long. I see this every single day with my kids. The conversations we have, the lessons we teach, the opportunities they are taking, they are all a reminder that the world is constantly changing whether we like it or not. But there is one thing that doesn’t change, One thing that we can keep close and hold tightly. We can choose to keep the things of God… we can choose to set our hope in Him and remember truth. What if we choose to keep God instead of the difficult and the less than and the hurt and the unforgiveness and the [fill in the blank}? I think it might just change our world, or at least the immediate influence around us. And it may just give us the boldness to speak about the hidden things of glory deep in His Word, and about hope and faith and love. And it may just open the door for you to pray eternity into the lives of one another, or move that mountain that has been blocking grace. Are you keeping the things that are not meant for you? Are you choosing a testimony of faith to tell others? I was drawn to Psalm 78 today, to the words of guidance and promise and depth. His Word is the balm to my heart when I wonder and I wrestle with being obedient and choosing His Will. It is the ultimate source of wisdom that leads me right into the rest that a wandering soul requires. 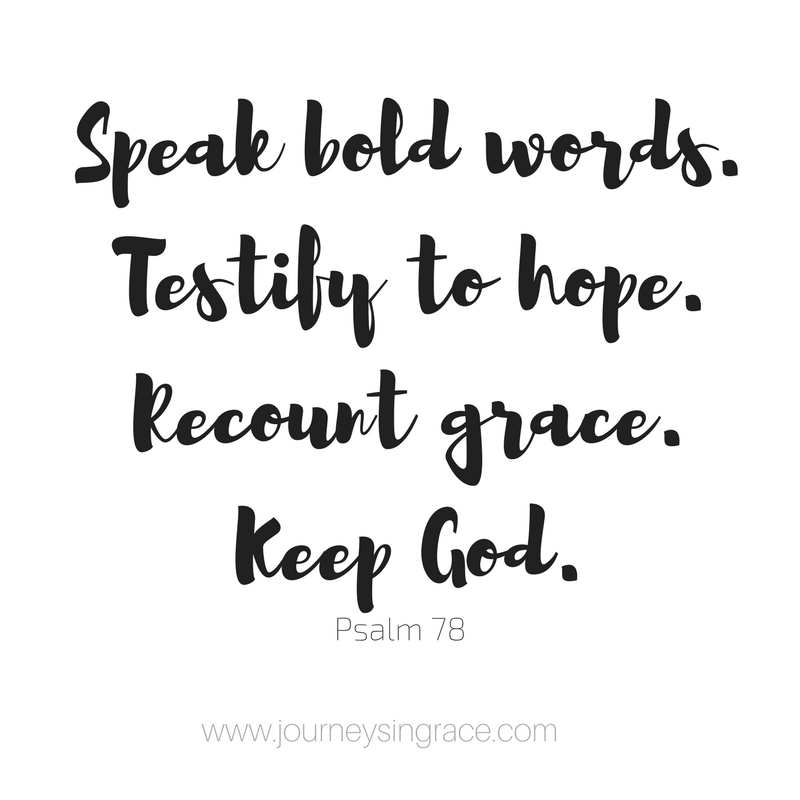 I needed to see these words and be reminded of where we are going, to remember the purpose we are telling our children the hidden truths they need to discover in His Word, because every single time we pause in the living epistle of hope which is His Word, it is a soul-stop that brings us closer to God. 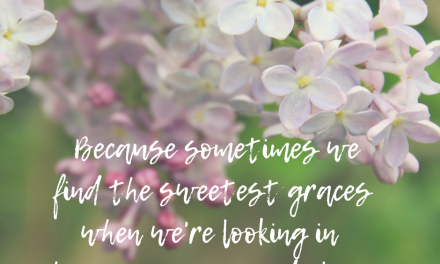 Some days we need to put on brave and look right into the face of grace to see His way. We need to speak bold words with hidden truth. Tell and testify to the ones that are close and to those who are far about the hope that we hold in our hearts. It takes faith to rise up and spill out the story, but when we recount what God has done we are building solid walls on the only firm foundation of truth… the cornerstone of love. It is all for a purpose… it is all in order to lead others to hope in something that will never disappoint. It is all for the best ending… to never forget what He said is true. 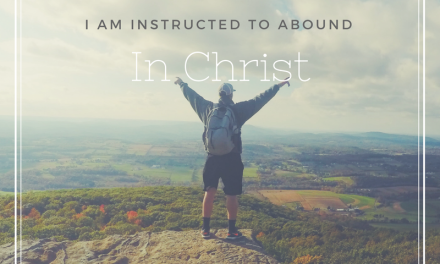 That what He works out for our good is ultimately for His glory. 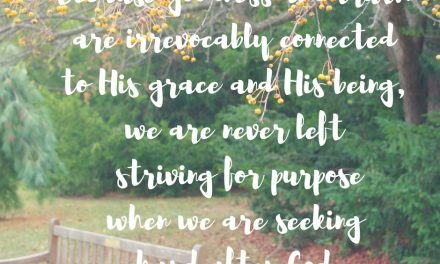 And when we purpose to set our hope in God, we learn to keep the things that are His. 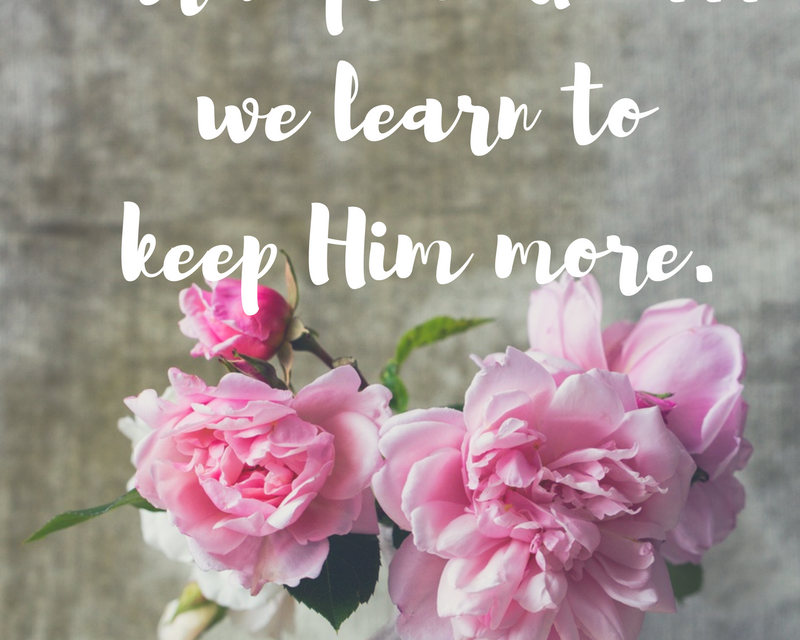 When we hope in God, we learn to remember… We Keep God. That’s an always kind of inheritance. 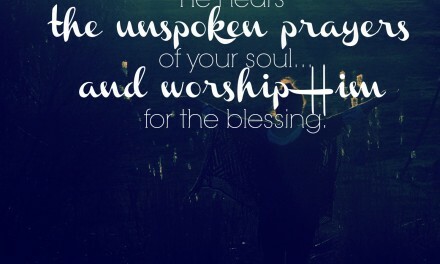 It’s a prayer we need to pray daily. Inspire us to speak bold words, faith words that lead others to seek your truth and grace. Fill us with a measure of faith to testify, to tell, to recount what YOU have done. Lead us towards hope, remind us so that we never forget, show us how to KEEP You in the center of all we do. Always. As a gift for you, feel free to download the Psalm 78 graphic. Dawn, you have shared some of my favorite verses from the Psalms. Those words are marked in my Bible and have been often prayed for my children and my grandchildren. It is the very reason I have wanted to leave my words and thoughts for my family – “so that each generation should set its hope anew on God.” Beautiful and powerful post as always. Blessings! Thank you for the beautiful graphic. 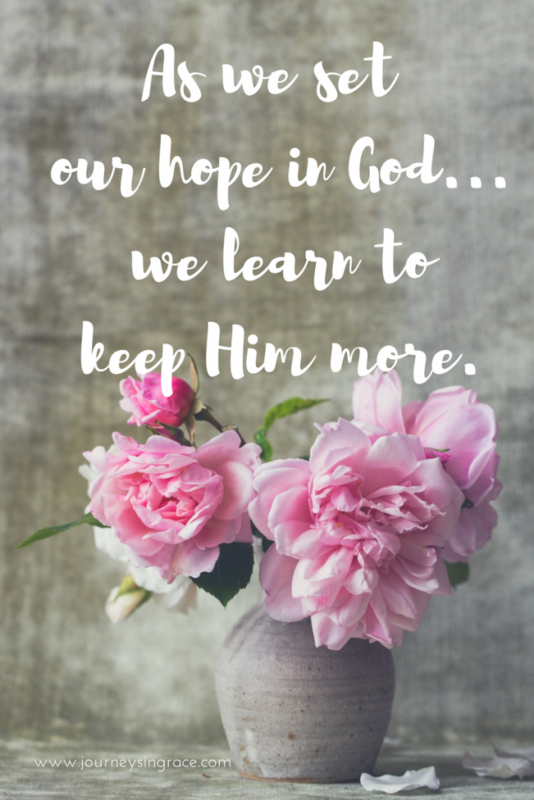 Yes, we need to keep our hope in God. Speak bold words about the Truth – Jesus. It takes faith and courage especially when the ridicule comes. Thanks, Dawn. Thank you so much for your beautiful post! I have 18-year-old twins who will be graduating in May. I homeschooled them 11 of their 13 years of school. It is a “letting go” process. That is for sure! Such a difficult thing for moms to do, esp homeschool moms! Blessings! AMEN! Love this. Have a blessed weekend. Testify to hope! Amen, Dawn! Love this inspiration to keep being bold for Him! Sometimes it seems so much easier to keep it to ourselves, right? But NO! 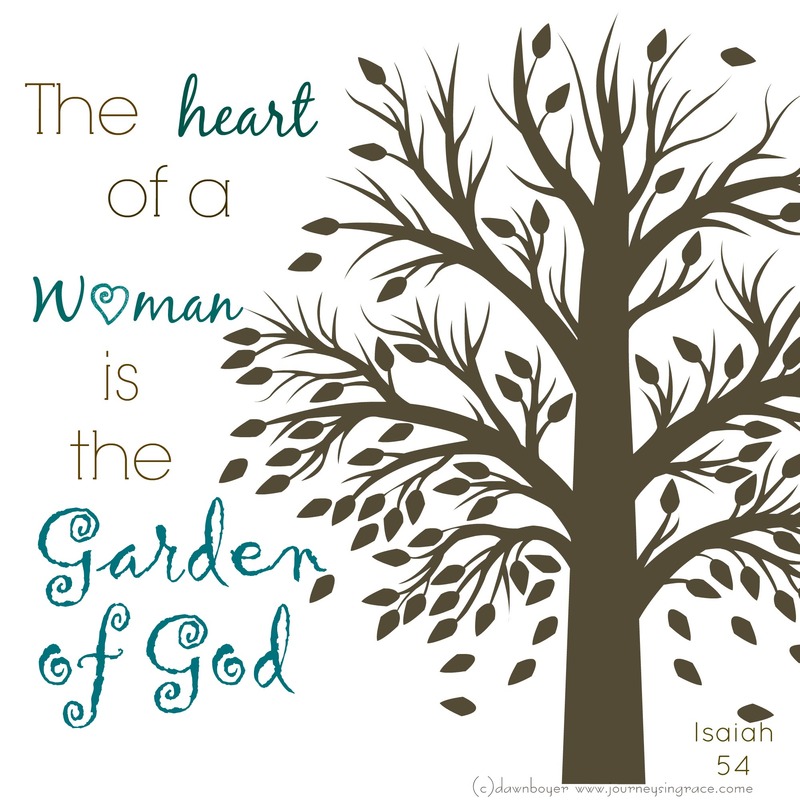 Love this ♥ Thank you for sharing it at #MomentsofHope! “Are you keeping the things not meant for you?” – Excellent question! How often do we carry around the things that do not belong to us? Thanks for sharing on Grace and Truth.